Seventeen weeks into our tour of the alphabet brings us to the letter Q. 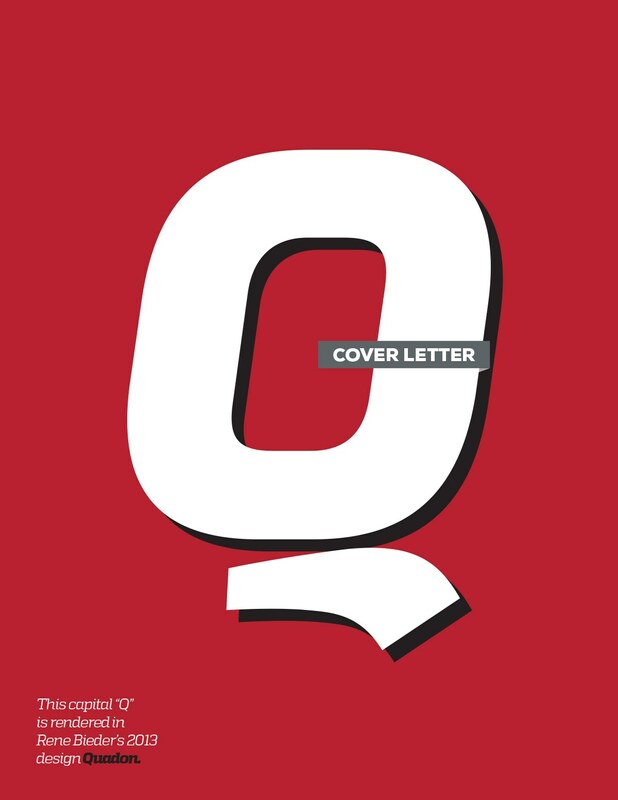 While Q is usually seen in the company of the letter u, this week it stands quixotically alone. And why not. A PDF version of this week’s letter can be found here. View previous cover letters here.